Sometimes I see people out and about who are in a similar position to me: still relatively young and limping. Maybe they have degenerative osteoarthritis in one hip like me, maybe rheumatoid, maybe injury. Who knows? But what I do know is that they almost never have a cane or crutch. Maybe if they’re wearing a cast, or if the condition is severe. But otherwise, most of them prefer to gulp some pain pills and limp. We like our pain meds in this country (the USA), don’t we? But that’s not the only reason. We also like to look young, and canes aren’t young. We’re vain, and most of us would rather make our infirmities worse faking not being infirm than just taking care of ourselves. 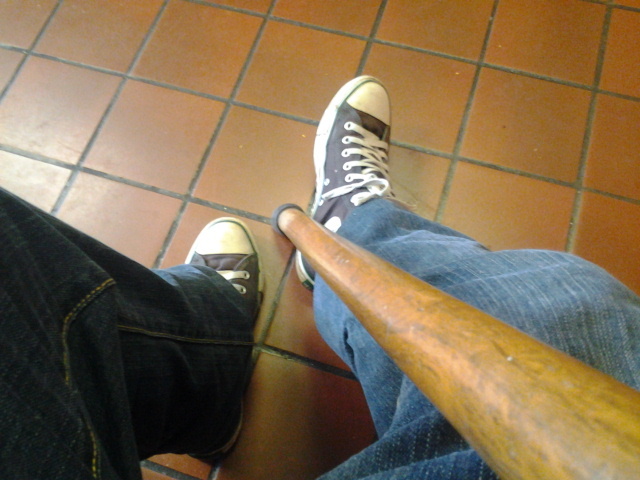 By using a cane, I slow the degeneration of my hip. I stay off pain meds by taking care of myself and accepting a little daily pain as my lot. I increase the chances this won’t be crippling in twenty years. I put off having to consider a hip replacement, maybe for a couple of decades, maybe for the rest of my life. I’m not worried about how my cane looks to you. I’m worried about what my cane can do for me.